We had some nice fish today! Captain Scott Meisel called in this afternoon with an audio wrap-up from the Condor's 1.5 day trip that returned this morning to Fisherman's Landing in San Diego, CA. 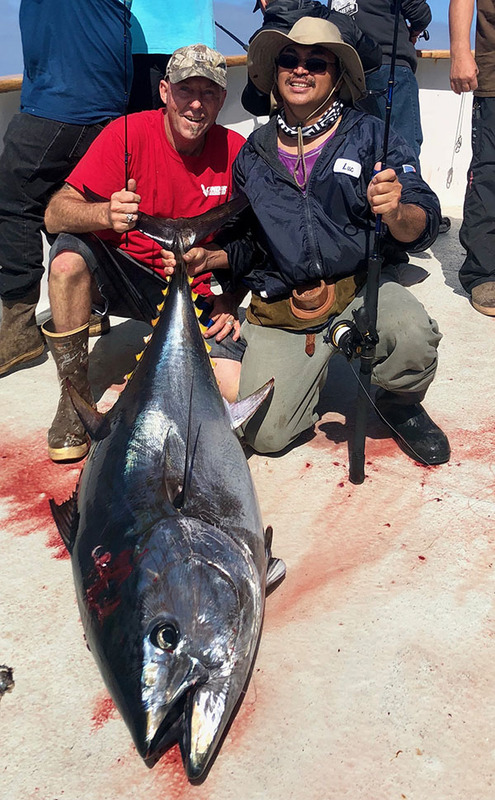 We finished the trip with 21 Bluefin Tuna from 40 to 135 pounds. We had action all day. We had breezer and jumpers. It sounds like there are a lot of fish down there. Call Fisherman's Landing at (619) 221-8500 or BOOK ONLINE. Our next trip is departing on Friday night! We would love to see you! Captain Scott Meisel and the 90 foot Condor are slipped up at Fisherman’s Landing in San Diego, CA. To book a reservation please call (619) 221-8500 or BOOK ONLINE. 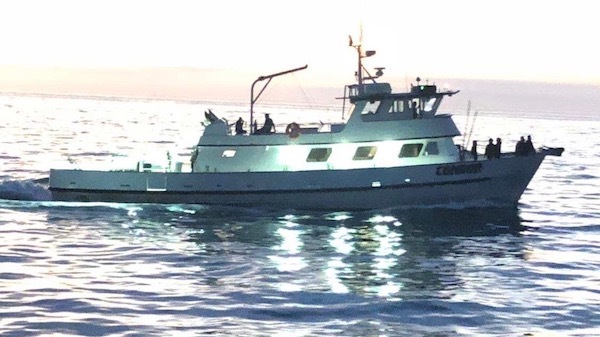 Condor Bluefin Trips departing Wednesday and Friday Nights!